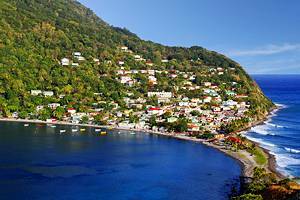 Known as "The Nature Island of the Caribbean", Dominica remains an unspoiled paradise for divers, hikers and naturalists. 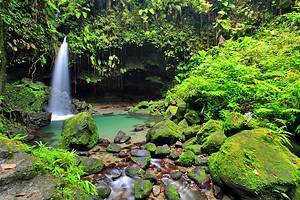 The natural splendors include the highest mountains in the Eastern Caribbean, rainforests, waterfalls, lakes, hot springs and over 200 rivers. African, West Indian and native Caribbean traditions have created a culture that is evident in a mix of language, food, art and customs.